I was going to write a post about Hongdae, a popular area of Seoul, when I realized that in trying to describe the size and variety of things to do, and particularly places to eat and drink, that most people wouldn’t understand Hongdae without having some idea of the immense size of Seoul itself. When people try and determine the size of world cities they use all sorts of information and statistics so there’s no one set of rules used. I looked online, as we all do nowadays, and found that not only were there 3 main categories, City Proper, Urban Area, and Metropolitan Area, there was also largest by land area as well as an ultimate list of Megacities. I found that online information sources varied from official national agencies to basically guesstimates. Then I found Citymetric, a wonderful site with up to date information and clear graphics. So using the information found there it became possible for me to compare the size of Seoul to other world cities. Tokyo/Yokohama in Japan ranks no. 1 with an estimated 37.7 million people, while Seoul/Incheon is in 4th place with 23.5 million. The top ranked USA city is NYC which has an estimated population of 20.6 million which places it 9th on the list. Paris is in 30th place with a population of 10.8 million and London is just slightly behind in 33rd place with 10.3 million people. Of the 36 Megacities (a Megacity has to have a population of over 10 million) in the world N. America, S. America, Europe, and Africa have 3 Megacities each while the remaining 24 are in Asia. This means that unless you grew up in Asia, or maybe NYC, the likelihood is that your concept of a big city just doesn’t fit a city like Seoul. Not only does Seoul have a larger population than NYC, it has that population crammed into a smaller space. Although on paper the size difference in land area doesn’t seem that great, 304.6 square miles for NYC versa 233.7 for Seoul, that doesn’t mean that all that land is useable. Seoul is well known for having mountains within the city which can’t be built upon, making the number comparison on paper fairly useless. Eight of the ten largest cities in the world, by land area, are in the USA where cities were not constrained by a shortage of land and could build outward instead of upward. S.Korea is a tiny country. Just the state of Texas alone is almost 7 times larger than S. Korea, and San Antonio, where I live, has a population of about 1.4 million people and is about twice the size of Seoul at 465 square miles. Basically the population density of Seoul is extremely high. This helps explain why cities like Seoul are so very different from what many of us are used to. In Seoul businesses, bars, restaurants, and commercial spaces can be found on almost any floor of a building, a movie theatre on the 6th floor of what looks like an office building is not that unusual. So the first big difference is that to find places you have to look up. Cafes, bars, restaurants, shops, etc will have signs on the outside of the building so be sure to look up as well as just around you at eye level. Also you have to look down, Seoul has huge underground shopping centers, as well as basement restaurants, bars etc. There are more service businesses that you can imagine, all those people need to eat, drink, shop, have their hair and nails done, and all those other things people need. Housing in Seoul tends to be on the small side, so if you want to meet up with friends you go out and meet them somewhere outside your house. Many people work long hours and have busy commutes so grabbing something to eat, or drink is quite common. It is said that Seoul has more places to eat than any other city in the world and I can believe it. 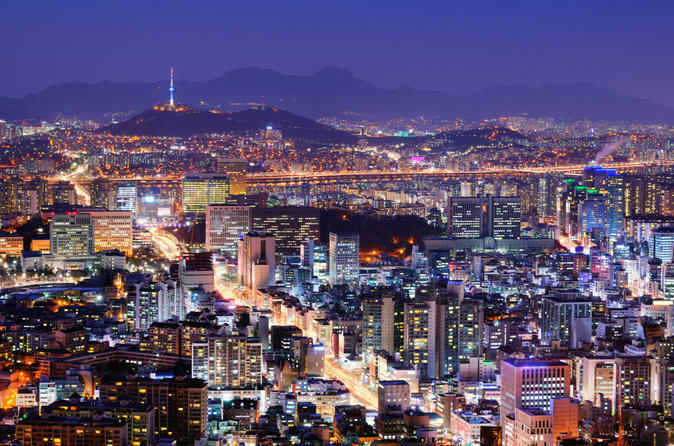 Seoul has a great transportation system, with an efficient subway, comprehensive bus network, and reasonable taxi fares, making it easy to visit different areas of the city for the things each place is famous for. Hongdae is noted for its youth culture, and particularly for its nightlife, and I’ll be writing about that in my next post.